The high-speed rotating hammer of the hammer crusher collides with the material to break the material and form a crush. It has the characteristics of simple structure, large crushing ratio and high production efficiency. It can be broken in both dry and wet forms, and is suitable for mining and cement. Coal, metallurgy, building materials, roads, burning and other industries are medium or finely crushed for medium hardness and brittle materials. The scope of application is wide, and there are also problems. 1. Excessive particle size: The reason is that the hammer is too worn; the sieve is broken. Solution: Replace the hammer head; replace the screen. 2. Bear overheating: insufficient grease; excessive grease; grease contamination deterioration; bearing damage. Solution: Add a proper amount of grease; the grease in the bearing should be 50% of its space volume; clean the bearing; replace the grease; replace the bearing. Solution: Stop and tighten the pin nut; replace the elastic ring. 4. The reason for the decrease in output: the gap of the screen is blocked; the feeding is uneven. Solution: stop the machine and clear the plug in the gap of screen bar; adjust the feeding mechanism. 5. 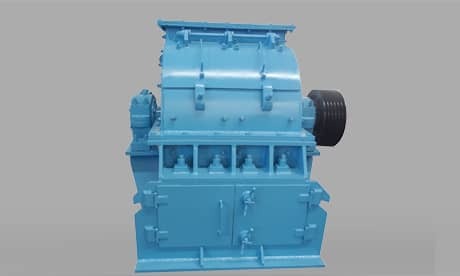 The knocking sound inside the machine causes: the non-broken material enters the inside of the machine; the lining fastener is loose, the hammer hits the lining; the hammer or other parts break. Solution: stop the car and clean up the broken cavity; Check lining fastening and clearance between hammer and screen bar; Replace broken parts. 6. Reasons for sudden vibration: the rotor static balance is not required when the hammer head is replaced or the cone head is worn; Broken hammer head, unbalanced rotor; Bending and breaking of pin shaft; Triangular or orbicular fractures; Anchor bolt umbrella. Solution: Remove the hammer head and select the hammer head according to the weight, so that the total weight of the hammer on each hammer shaft is equal to the total weight of the hammer on the hammer shaft, that is, the static balance meets the requirements; replace the hammer head; replace the pin shaft; Repair or replace; tighten the anchor bolts. Next Article: How to Avoid the Wear of the Roll Teeth by the Double-Tooth Roll Crusher?